Fairy Tale Survival Rule #32: If you find yourself at the mercy of a wicked witch, sing a romantic ballad and wait for your Prince Charming to save the day. Yeah, no thanks. Dorthea is completely princed out. Sure being the crown princess of Emerald has its perks—like Glenda Original ball gowns and Hans Christian Louboutin heels. But a forced marriage to the brooding prince Kato is so not what Dorthea had in mind for her enchanted future. Talk about unhappily ever after. Trying to fix her prince problem by wishing on a (cursed) star royally backfires, leaving the kingdom in chaos and her parents stuck in some place called "Kansas." Now it's up to Dorthea and her pixed off prince to find the mysterious Wizard of Oz and undo the curse...before it releases the wickedest witch of all and spells The End for the world of Story. This book is literally so much fun! I feel stupid saying it, but it really is. It's packed with so many laugh out loud moments, awesome (and a bit crazy) characters, and an adventure you will be thinking about for a long time. Dorthea starts out as your typical teenage princess, spoiled, never has enough and thinks she is better then everyone else. That is what I loved most about her character. You start off Spelled with one Dorthea and you end the book with another. All through out Spelled she learned to value what she had and her parents, and not everyone has it as easy as she did. Dorthea is snarky, sarcastic, and wickedly smart when she actually thinks things through and doesn't act on a whim. Things she says and her inner monologue will have you out right laughing. Now to throw in Kato, who Dorthea originally thought was the gardener (See the excerpt below) who both hate each other, and now are arranged to be married, things get even funnier. The banter between Kato and Dorthea was perfect. They hate each other, they both despise the fact that they are going to be married to each other soon. The romance was really well down. Betsy didn't rush the romance between Kato and Dorthea, it flowed and came to a head at a perfect point with in the story. I am adding Kato to my list of fictional boyfriends though, because he is just super yummy. I just can't explain why. Overall I really liked this one! It was open ended so I am hoping for news of a sequel soon. I recommend this one for anyone who is looking for a laugh or just something fun to read on their off time. "He sat by the log with his head down, like he was hiding something. I looked closer. Were those legs hanging out of his mouth?" "The Bumpkin turned his back ... and mooned me." "The first few bars from Wrong Direction's hit song 'My Spell's What Makes You Beautiful' came from somewhere close by." "Every fairytale comes equipped with a happy ending. You just have to find it." 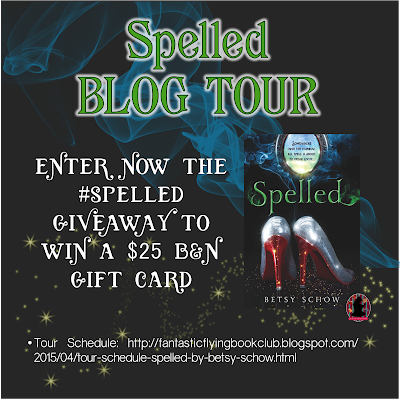 BETSY SCHOW is the TODAY Show featured author of the non-fiction book, Finished Being Fat; however she’s been mixing up real life and fantasy for as long as she can remember. If someone were to ask about her rundown truck, she’s 100% positive that mechanical gremlins muck up her engine. And the only reason her house is dirty is because the dust bunnies have gone on strike. She lives in Utah with her own knight in geeky armor and their two princesses (that can totally shapeshift into little beasts). When not writing, she acts as the Tournament Director for Odyssey of the Mind and helps teach kids creative thinking (or how to turn their toasters into robots). 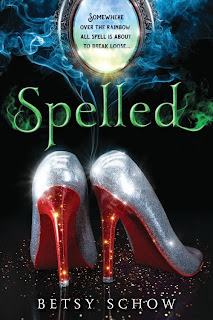 Her debut novel, Spelled, comes out June 2015 from Sourcebooks. 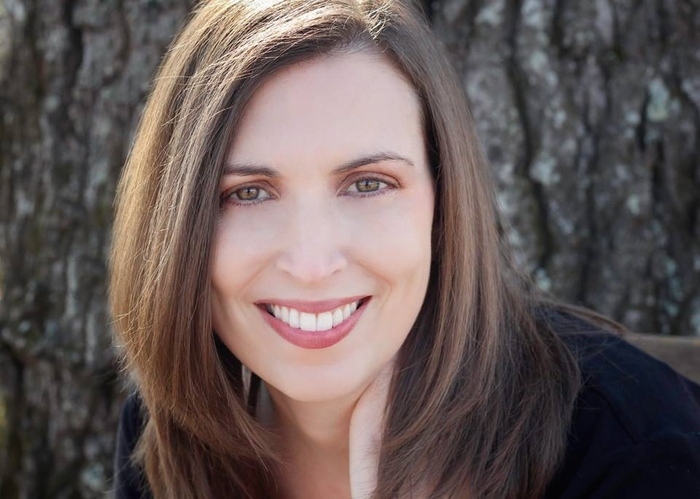 She is represented by Michelle Witte, Mansion Street Literary Agency. 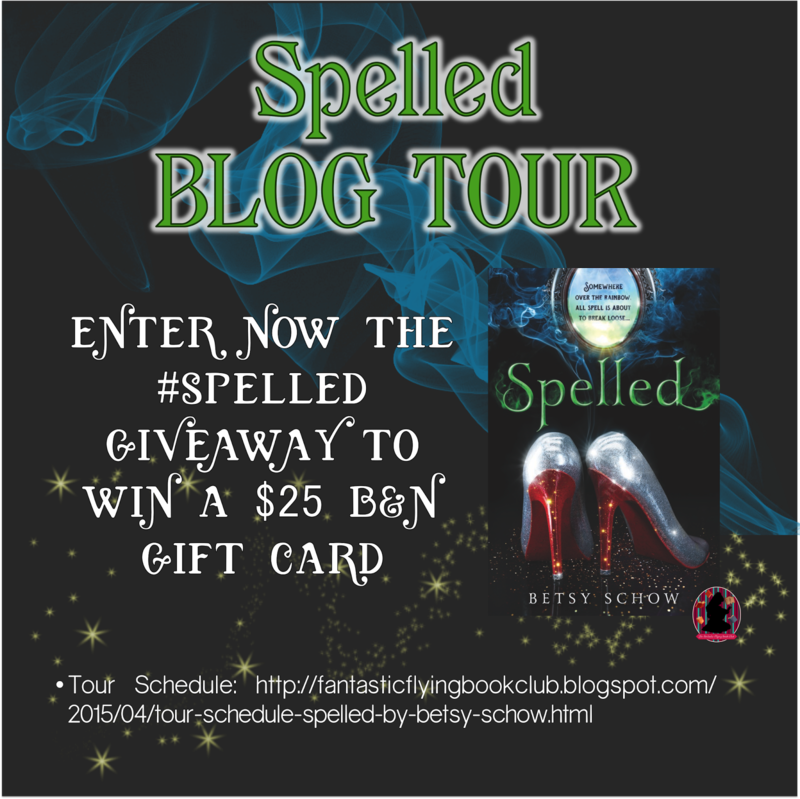 Introducing The 2015 Summer Blogger Promo Tour Sign Ups! There are 9 Sundays in July/August total. We're going to be selecting 40 book bloggers (although the more the merrier - if we surpass 40, we will make it work and it'll be awesome! CHANGE AS OF 6.2.15: Due to the overwhelming volume of bloggers that signed up, our cutoff is going to have to officially be at 56.). The bloggers will be divided into various groups of 8. Each blogger in the lineup will put up a post on their blog every Sunday throughout July and August. 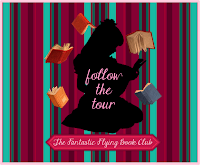 Each week, your post will be featuring another book blogger involved in the tour. (You will be emailed a schedule in late June that will tell you which book bloggers to feature on which Sunday.) You could do an interview with the blogger, explain what you like about their blog, something fun or creative, a booktuber collaboration, etc. Whatever you want--it's up to you! All you have to do is make sure that post basically swags out the assigned blogger/book blog. In return, they'll do the same for you and your blog when it comes time for them to cover yours. 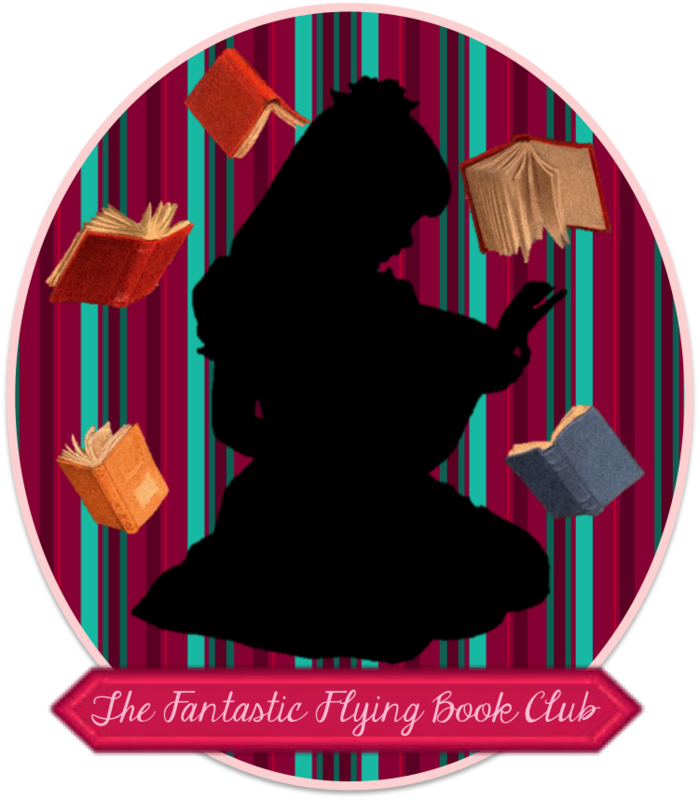 Some of the awesome things that took place last year were book quizzes, interviews, trivia games, fancasts, book discussions, co-reviews, guest reviews, and more! The way the rotation will work is that all of the 8 blogs in your group (there will be Groups A - E) will be featured each week. Your blog will be talked about on 8 other blogs at different points for 8 entire weeks. (For the 9th week, everyone will be doing a wrap-up post about their tour experience, otherwise you'd be swagging out YOUR blog for the 9th week, which makes no sense). 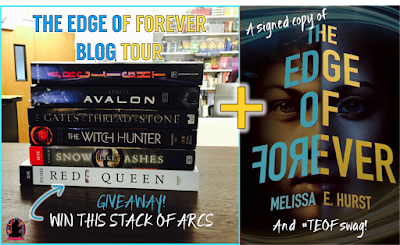 The purpose of this tour is just to highlight new and different YA book bloggers and get to get the word out and learn about them and promote them, while having them do the same for you in return. Every Sunday throughout July and August will be filled with interviews, discussions, shoutouts, and tons of other fun! This is going to be a super awesome tour that we're so excited for--and we launch on July 5th! So many awesome friendships have been formed through the Summer Blogger Promo Tour last year, and this year will be just as awesome! Some awesome friends we met and bonded with over the 2014 tour were: Dana Square, Endlesslyreading, Ana Loves..., The YA Club, Caught Read Handed, Ink on the Shelf, The YA's Nightstand and SJ Bouquet! Sign ups for the 2015 Summer Blogger Promo Tour will be taking place from now until Wednesday, June 24th. CHANGE: Due to the overwhelming amount of responses, the cutoff will officially be at 56 bloggers. If that number is reached before June 24th, signups will be closed. After that date sign ups will be closed and you will all receive a welcome email and another email with your individual tour schedule! Absolutely every blogger that signs up for the 2015 Summer Blogger Promo Tour will be given a spot on the tour. CHANGE: Every one of the first 56 bloggers to sign up for the tour will be given spots on the tour. All blogs, big or small, are welcome! Signups for the 2015 Summer Blogger Promo Tour have been capped off. See you all on the tour! Summary: Emmy’s best friend, Oliver, reappears after being kidnapped by his father ten years ago. Emmy hopes to pick up their relationship right where it left off. Are they destined to be together? Or has fate irreparably driven them apart? Emmy just wants to be in charge of her own life. She wants to stay out late, surf her favorite beach—go anywhere without her parents’ relentless worrying. But Emmy’s parents can’t seem to let her grow up—not since the day Oliver disappeared. Oliver needs a moment to figure out his heart. He’d thought, all these years, that his dad was the good guy. He never knew that it was his father who kidnapped him and kept him on the run. Discovering it, and finding himself returned to his old hometown, all at once, has his heart racing and his thoughts swirling. Emmy and Oliver were going to be best friends forever, or maybe even more, before their futures were ripped apart. In Emmy’s soul, despite the space and time between them, their connection has never been severed. But is their story still written in the stars? Or are their hearts like the pieces of two different puzzles—impossible to fit together? I received an ARC copy of Emmy & Oliver through HarperTeen, and I'm honestly SO glad that I did. The summary itself gripped me from the very beginning, because it's not anything I've ever really read or even heard of before - a young teen boy being kidnapped by his own father ten years ago, and his best friend having to endure those ten long years without him...and then when he comes back, things are definitely not the same. Robin Benway impressed me right off the bat. Emmy's wit and her hilarious banter with her overprotective parents kept me laughing the whole time. Ever since Oliver's disappearance, Emmy's already strict parents tightened the reins even further - to the point that Emmy knows they'd go nuclear if they found out she had been sneaking out behind their backs and surfing every weekend for the past three years. To make matters worse, they're not encouraging her to go away to college because they don't want her out of their sight - but Emmy may or may not have already taken a leap of faith that could take her far, far away from their strict (but loving) ways. Oliver's return felt so real to me - I feel like I was expecting it to be cheesy and unrealistic. I was expecting Oliver to jump out of the car, recognize Emmy, smother her with kisses and then be the king of the town while everyone rejoices his arrival and welcomes him back with open arms. But that wasn't what happened, which made it so great. I won't spoil anything and go into too much detail, because this is definitely the kind of book that I encourage you to pick up yourself, but Oliver comes back to his original home and barely remembers his own mother (and never met her new husband and children), let alone Emmy. Imagine how shattered you would be if your childhood best friend came back and basically stared at you and admitted that they barely had any idea who you were. Yeah, ouch. This book was just downright fantastic. My feels were all over the place - I was cheering on Emmy and Oliver, groaning at Oliver for not remembering any of their childhood memories, and just getting all up in the action. (There are some minor spoilers in the rest of this paragraph, so feel free to skip on over to the next one if you don't want anything ruined for you.) 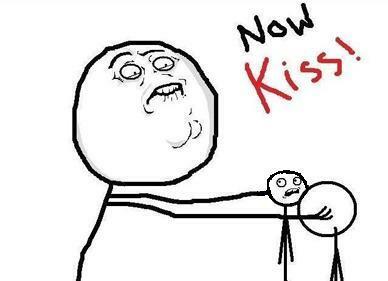 The romance that blossomed between Emmy and Oliver made me swoon SOOO hard. Seriously. I couldn't stop smiling for the entire book, except for the parts when Oliver was open and deep about all of the stuff that went on with him during his ten years of abduction - although he never truly saw it as an abduction. Like I said before, the plot of this book is a little hard to wrap your mind around - a book where a boy gets abducted by his own father for ten years - but nothing terrible happens to him. To Oliver, he never saw the abduction as an actual abduction, since his father spent those ten years telling him that his own mother didn't want to see him anymore, when the real story was the exact opposite. So it was interesting seeing how everyone reacted when Oliver returned, treating him like he survived some horrible, painful torture while he was kidnapped - when in reality, those ten years were some of the best of his young life. All in all, Emmy & Oliver was such a fantastic book that I would recommend to anybody looking for a little romance and the facing of tough trials. The ending of the book absolutely punched me in the feels (although I won't say if it was in a good or a bad way - read it yourself to find out! ), and I loved the entire thing, through every single chapter, sentence, line and word. Absolutely in love. This book definitely ranks high up in my favorites of 2015 so far - and I have a great feeling that this book will definitely be showing up at some point for our end of the year 2015 Best Books Awards, in a category or two (or three, or four). ;-) Robin Benway did a fantastic job, and I can't wait to read more of her work in the future! 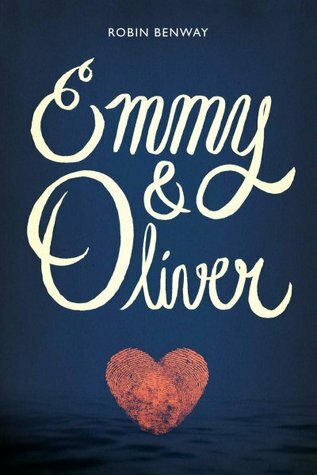 DISCLAIMER: I received an ARC copy of Emmy & Oliver through HarperTeen in exchange for an honest review. Neither HarperTeen nor author Robin Benway received this review in any format prior to its publication on the 29th of May, 2015. All opinions expressed in this review are entirely my own. In 2013: Sixteen-year-old Alora is having blackouts. Each time she wakes up in a different place with no idea of how she got there. The one thing she is certain of? Someone is following her. In 2146: Seventeen-year-old Bridger is one of a small number of people born with the ability to travel to the past. While on a routine school time trip, he sees the last person he expected—his dead father. The strangest part is that, according to the Department of Temporal Affairs, his father was never assigned to be in that time. Bridger’s even more stunned when he learns that his by-the-book father was there to break the most important rule of time travel—to prevent someone’s murder. And that someone is named Alora. Determined to discover why his father wanted to help a “ghost,” Bridger illegally shifts to 2013 and, along with Alora, races to solve the mystery surrounding her past and her connection to his father before the DTA finds him. If he can stop Alora’s death without altering the timeline, maybe he can save his father too. Melissa lives in the southern US with her husband and three kids. She writes YA science fiction and fantasy, which means she considers watching Star Trek and Firefly as research. She dreams of traveling around the world and maybe finding Atlantis one day. You can usually find her with a book in one hand and a Dr. Pepper in the other. Or consuming lots of chocolate. 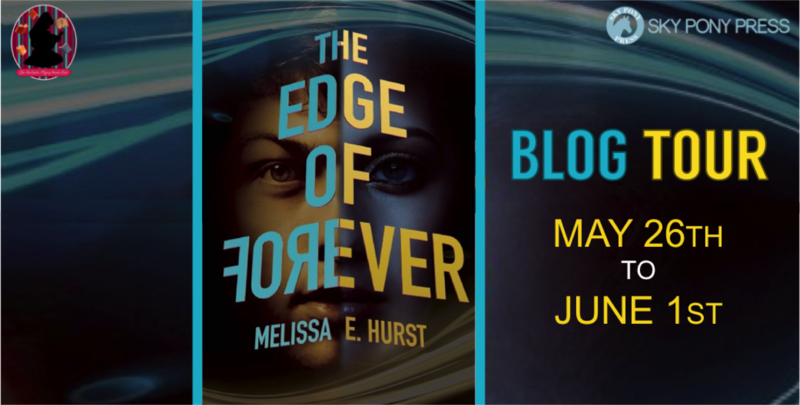 THE EDGE OF FOREVER is her debut novel. Gabriel (The Styclar Saga, #2) Pre-Order Blitz!